Lightweight and versatile brutes, built to manage all-mountain terrain and steep ice with equal aplomb. The GORE-TEX® lining makes these boots warmer and provides reliable waterproof protection. 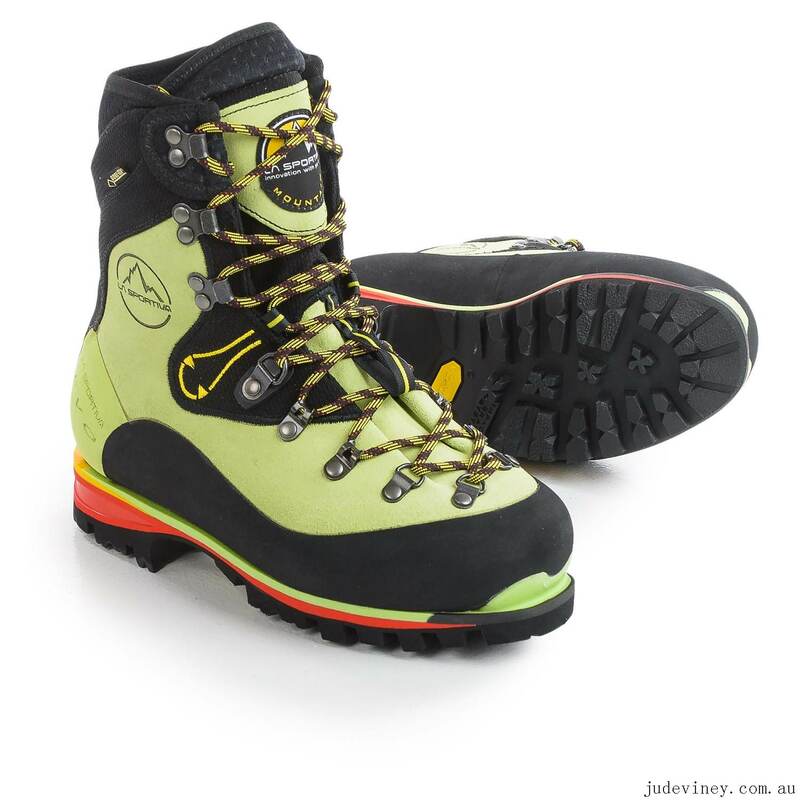 The Nepal are an ideal choice for any alpine adventure, except those enjoyed in the dead of a Canadian winter or on extended high alpine outings where a double plastic boot would be a more prudent selection. Uppers are premium silicone-impregnated Idro-Perwanger rough-out leather with sticky rubber rands. Warm and waterproof GORE-TEX® Duratherm® liners teamed up with insulating 9mm thermal insoles minimize cold conduction. Breathable tongue for moisture management. Patented flexible ankle system provides ample lateral support yet is forgiving enough to allow challenging crampon placements. 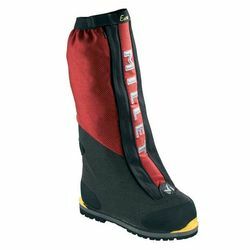 The integrated elastic snow gaiter helps keep snow and spindrift outside the boot. Midsoles are tapered and graded polyurethane, which feels lively underfoot while still providing superb stiffness with crampons on steep ice. Shock-absorbing polyurethane inserts under the heel and the ball of the foot. Outsoles are Vibram® featuring the new IBS (Impact Brake System) designed to soften impact on hard ground and improve overall traction.